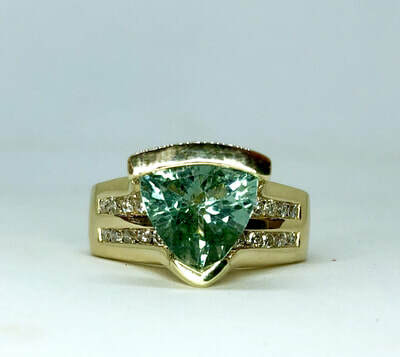 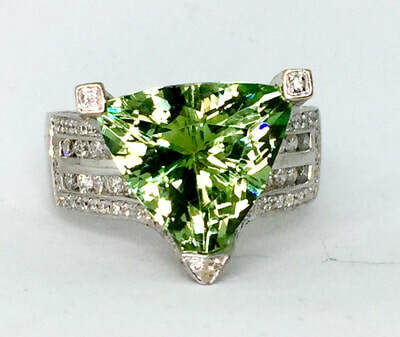 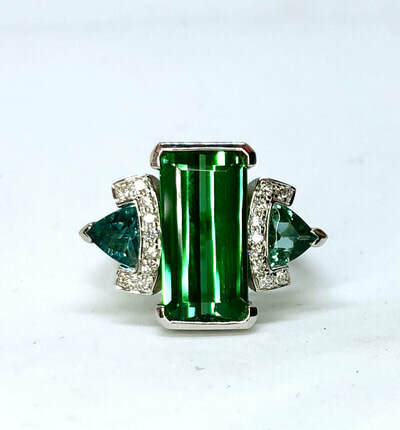 Green Tourmaline is in the Tourmaline family of gemstones, and comes in a wide range of colors, from light yellowish green, to deep forest green, all the way to bright Teal color. 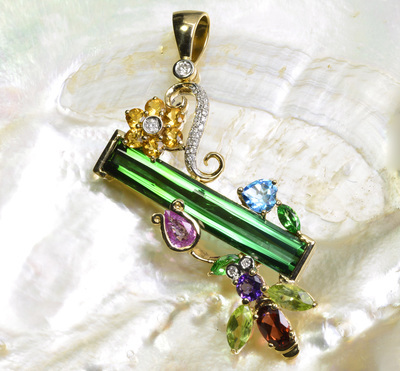 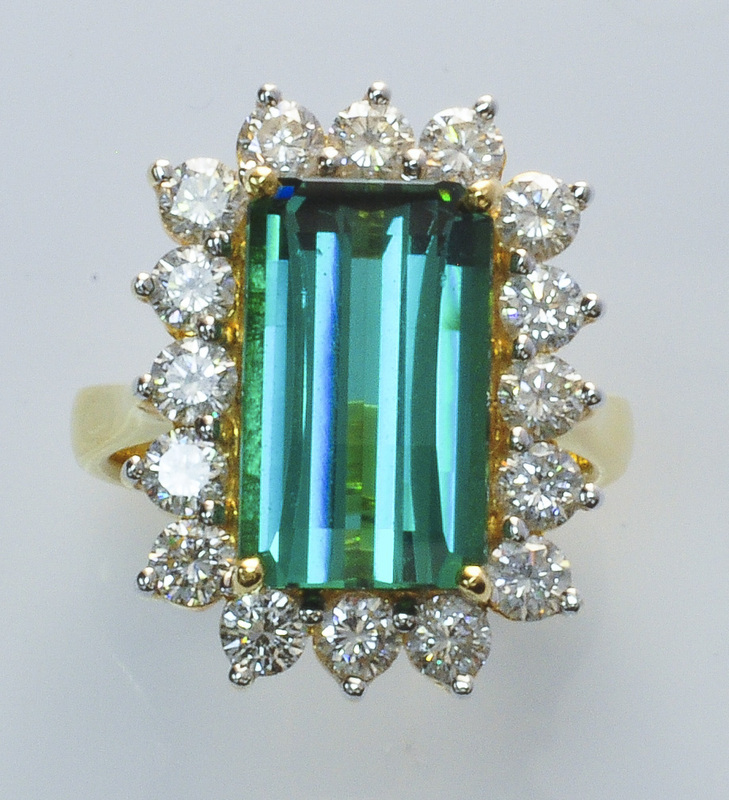 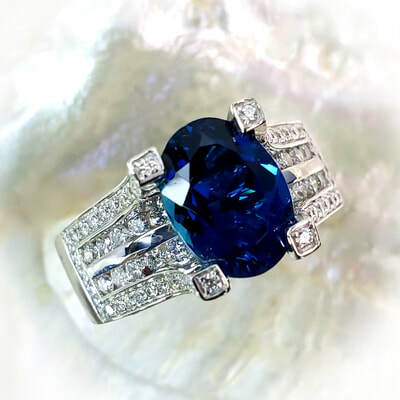 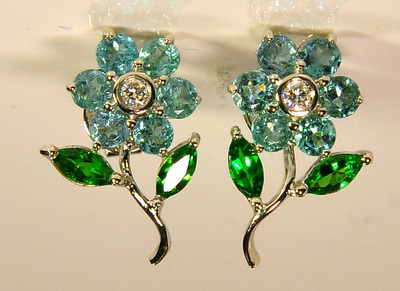 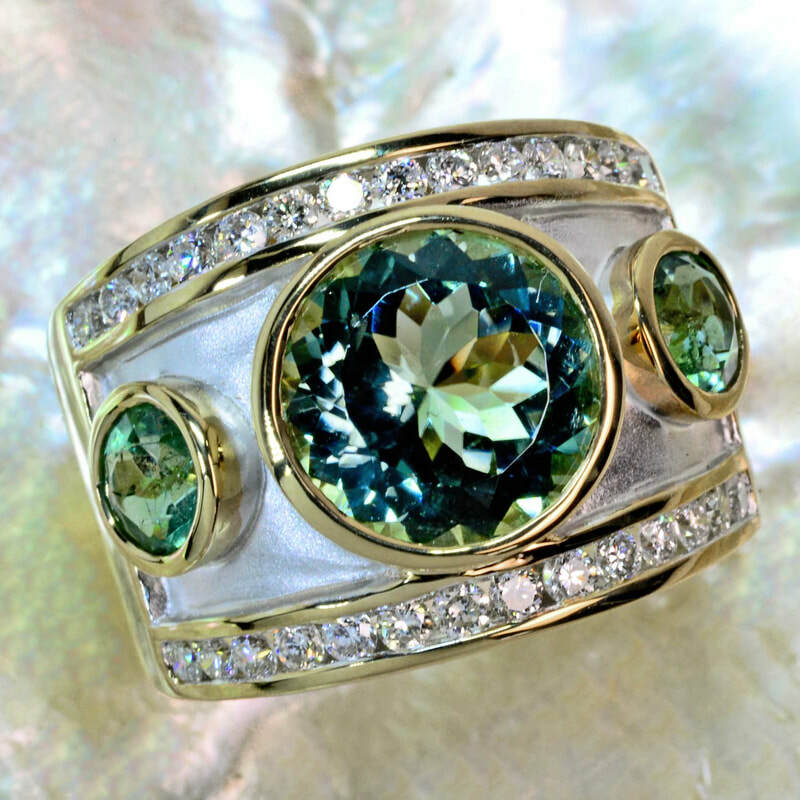 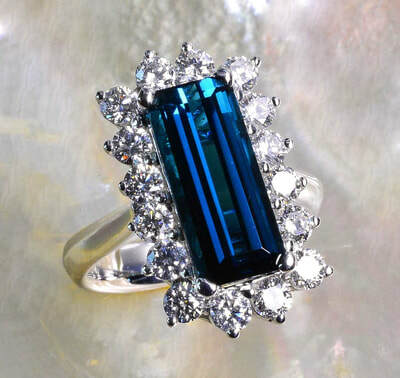 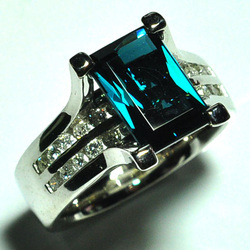 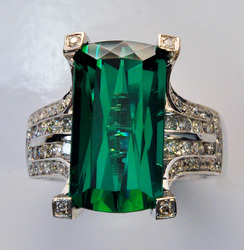 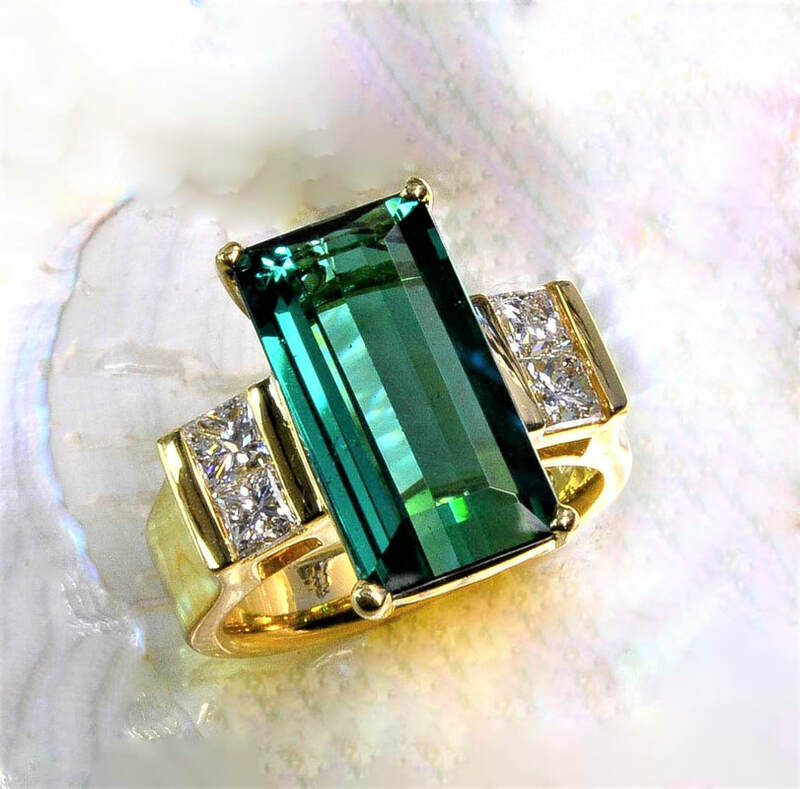 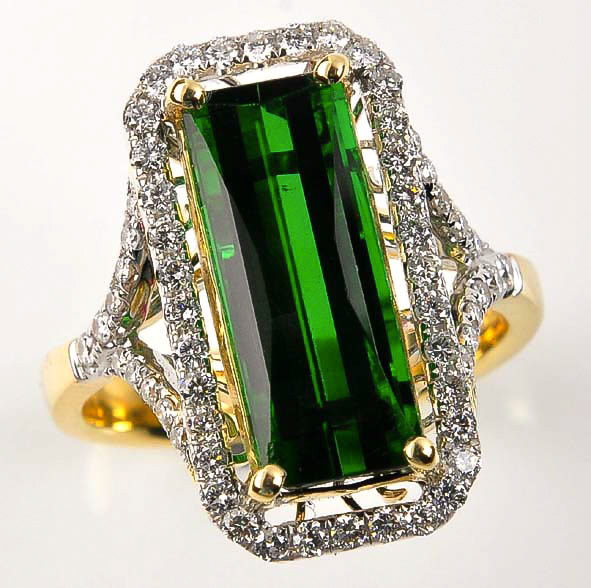 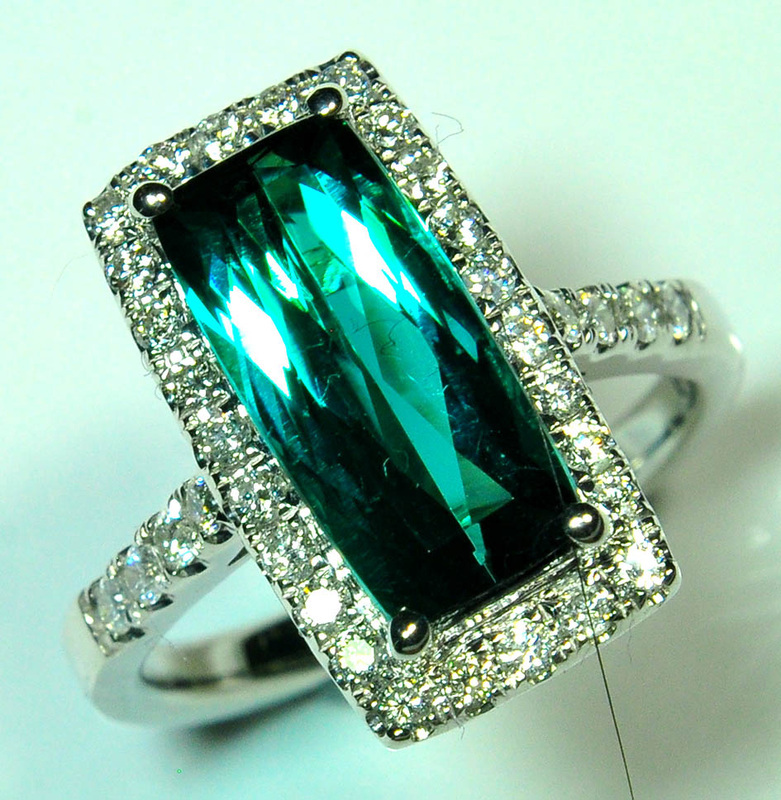 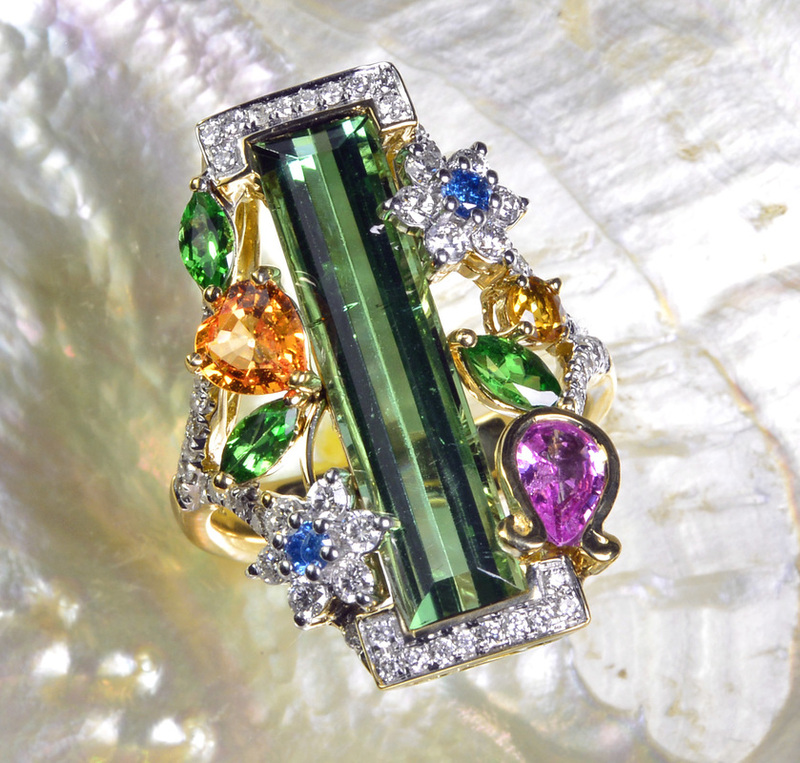 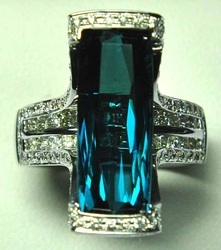 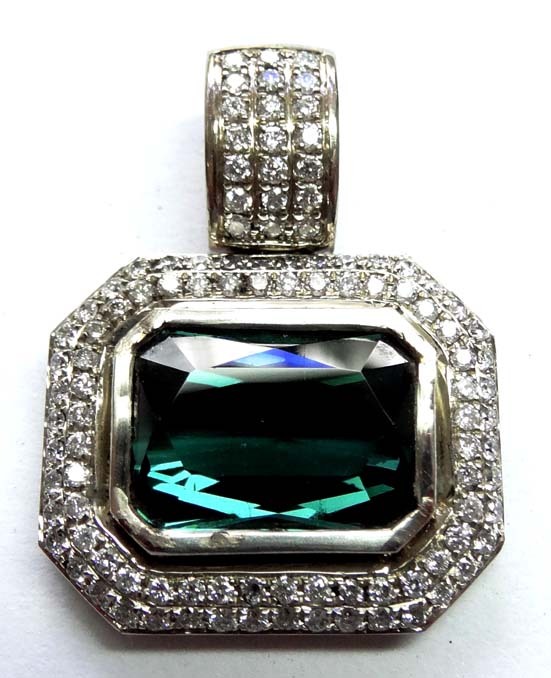 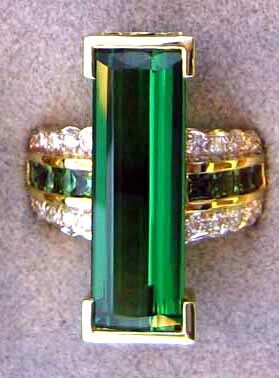 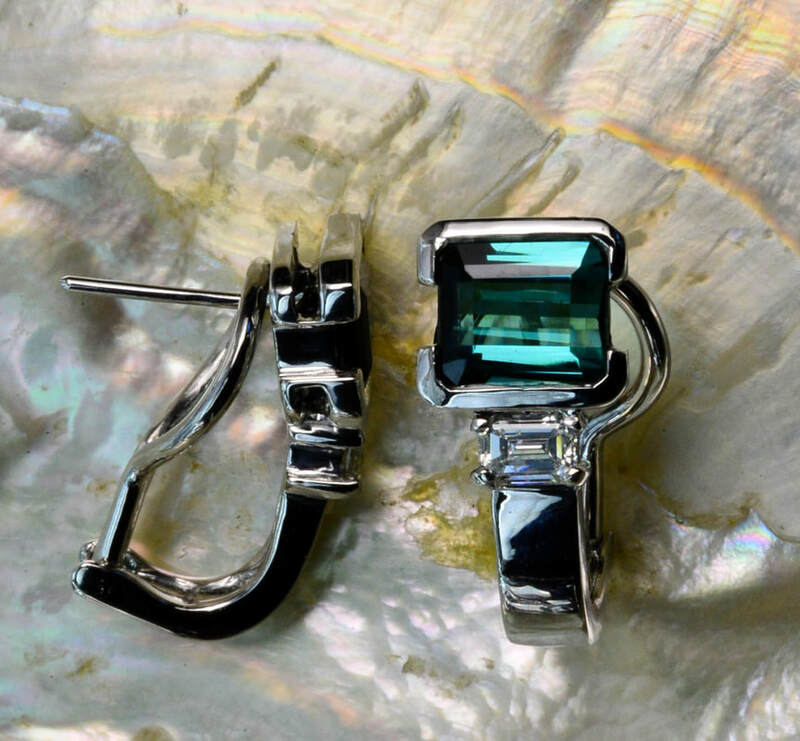 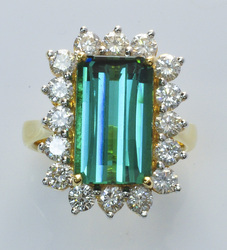 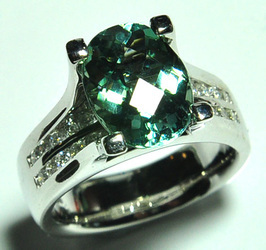 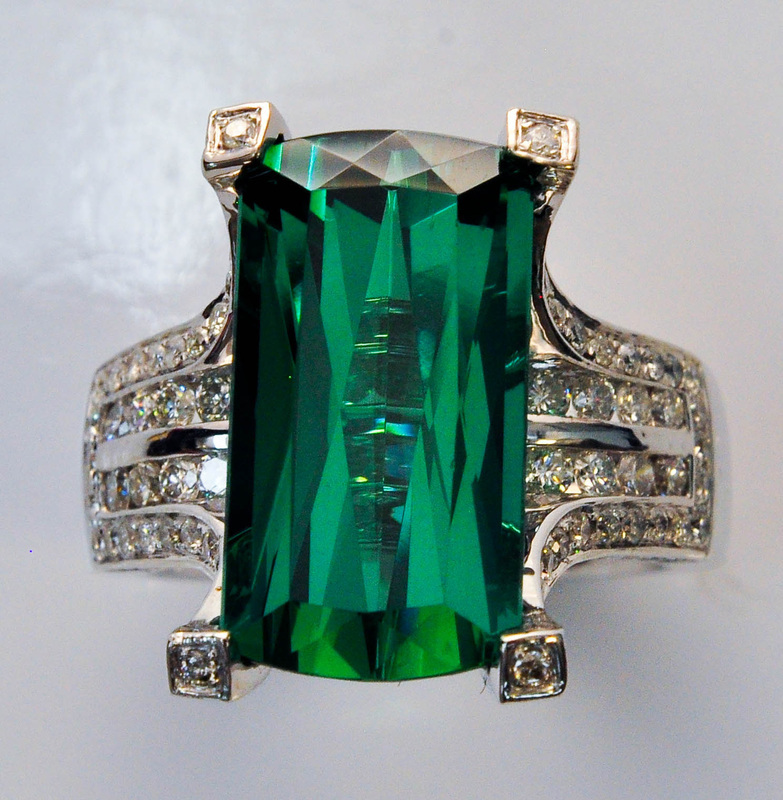 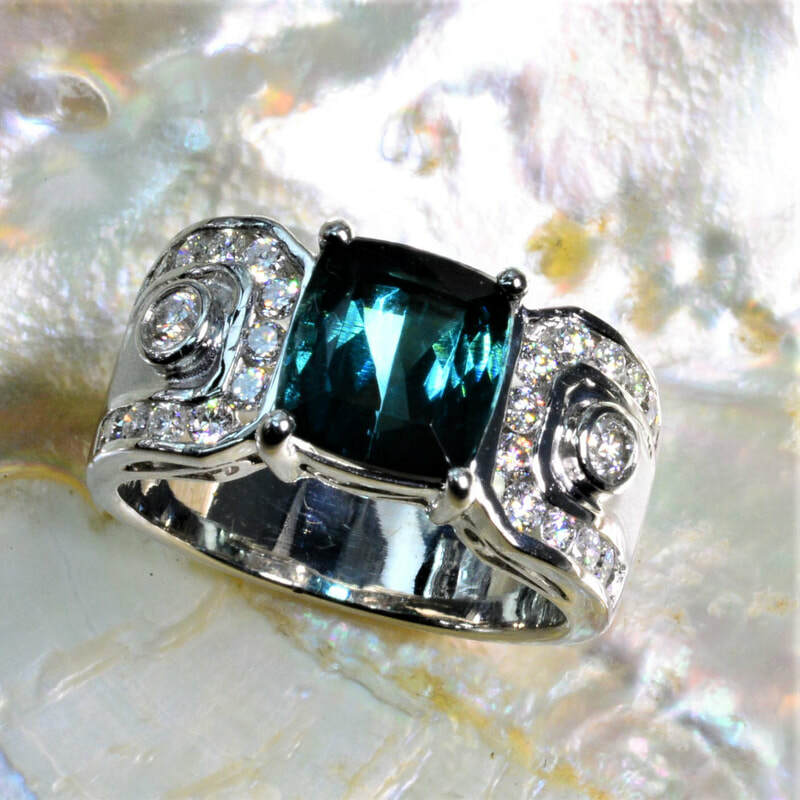 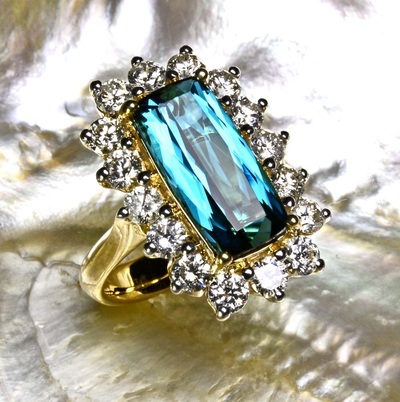 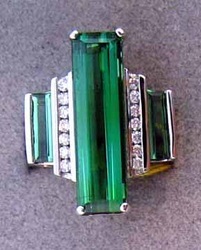 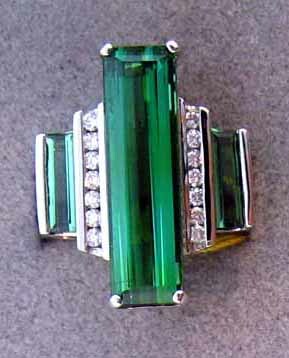 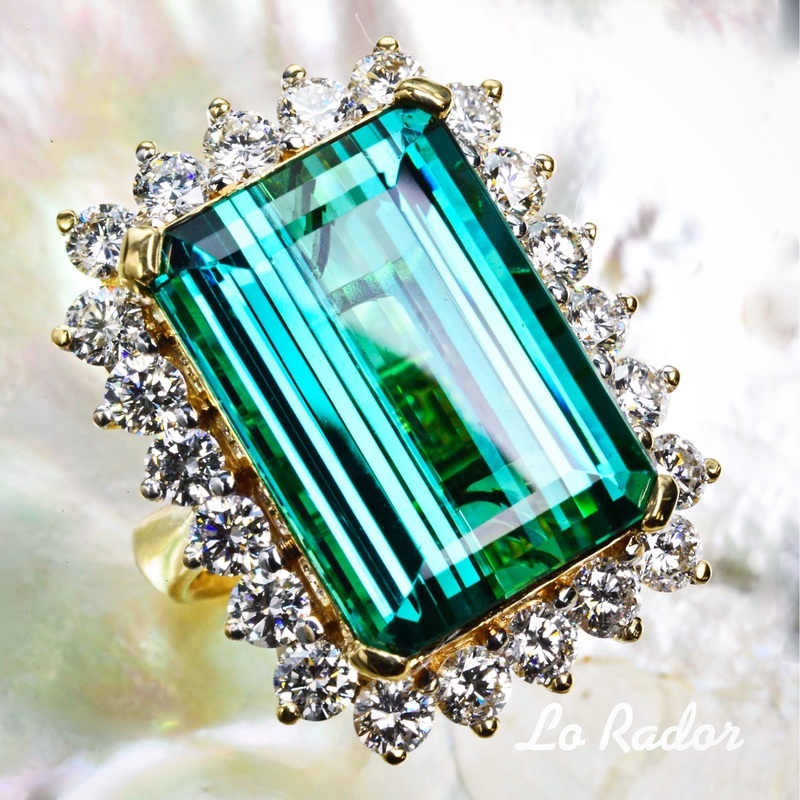 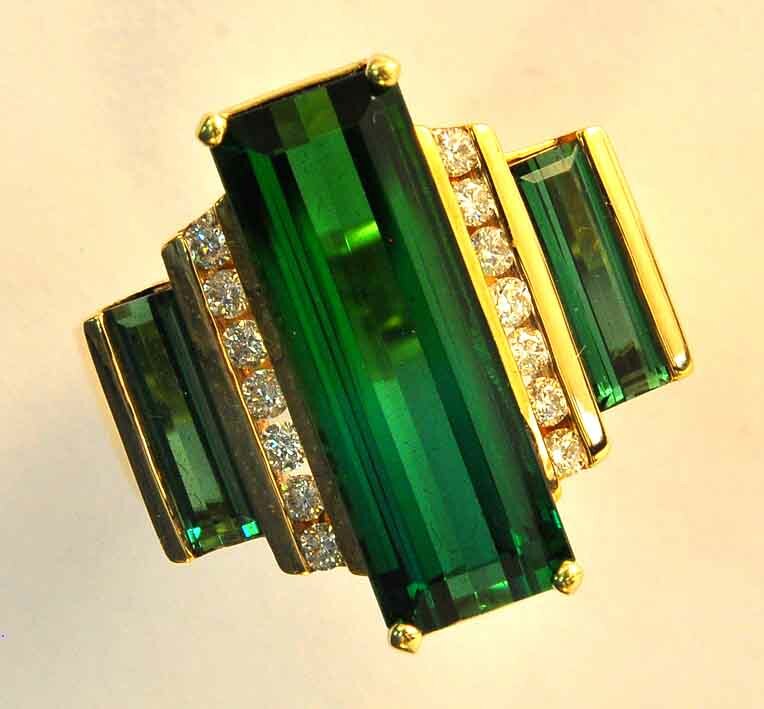 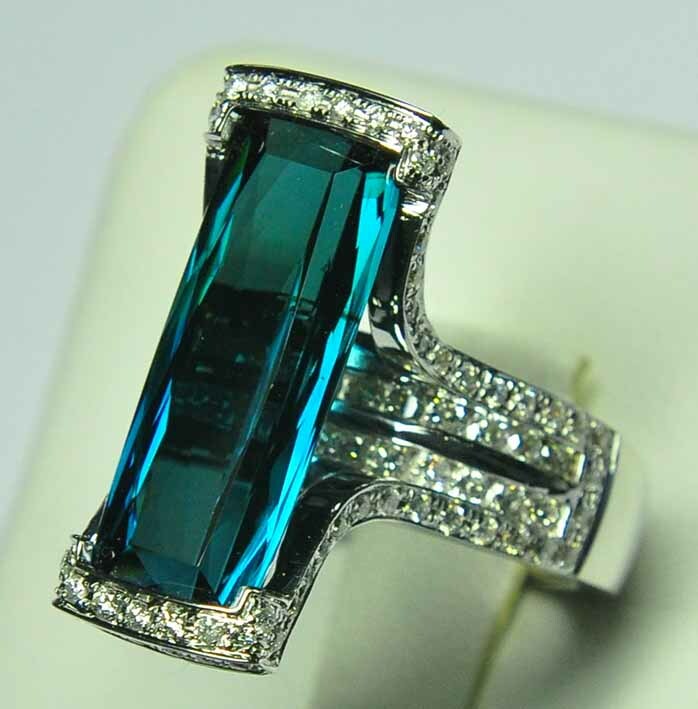 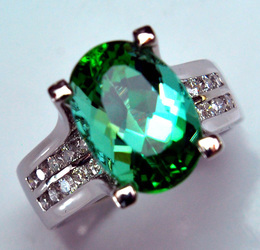 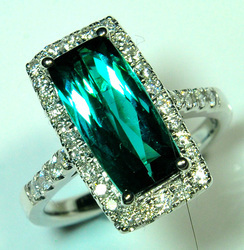 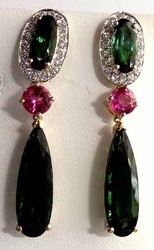 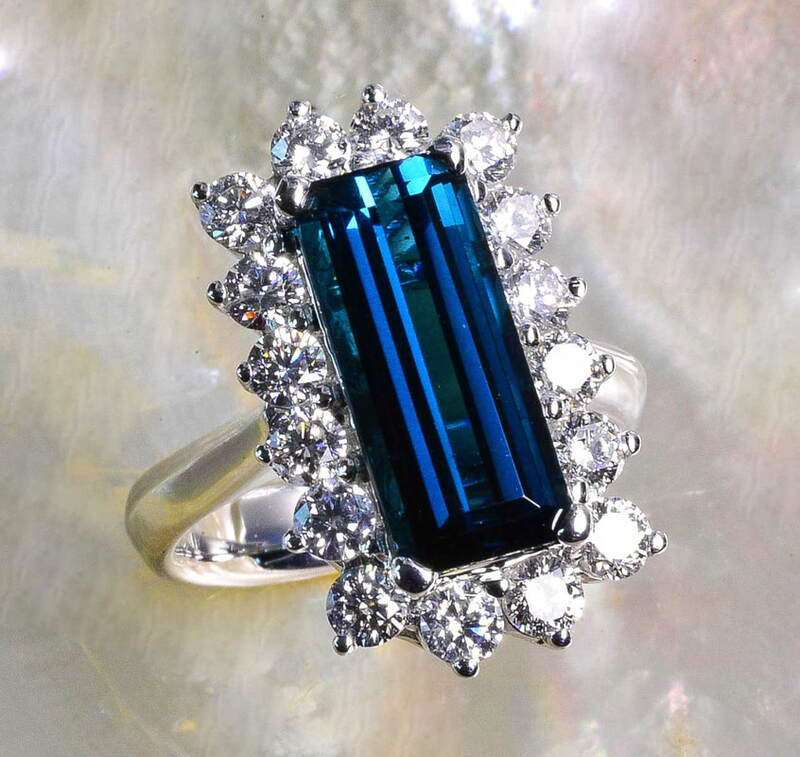 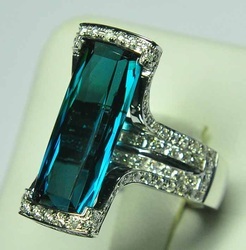 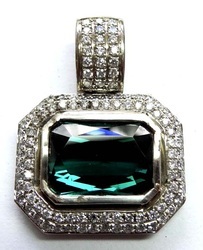 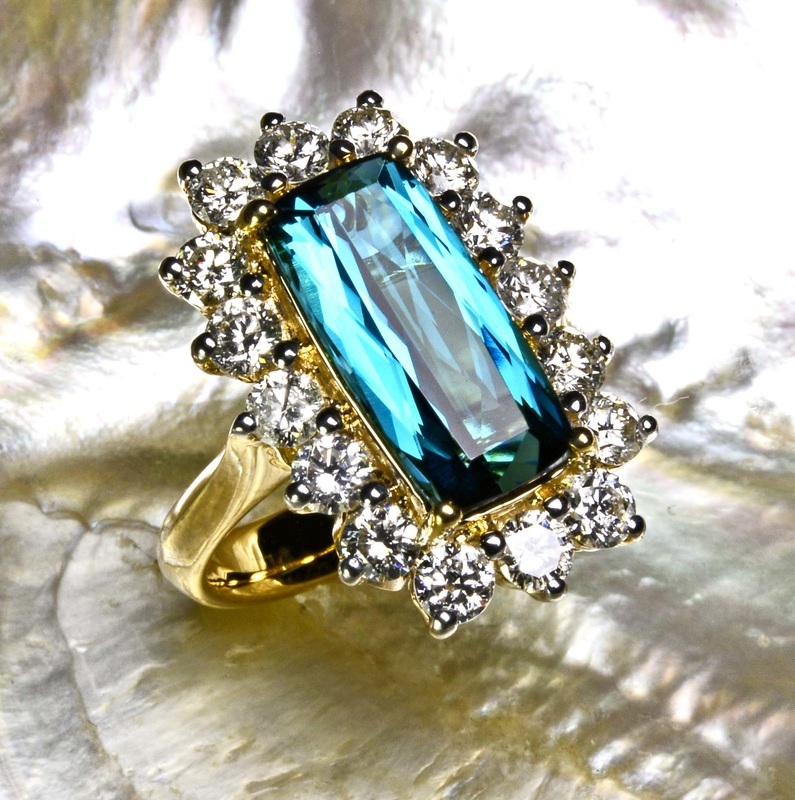 When Tourmaline appears in any shade with blue colors, it is referred to as "Indicolite". 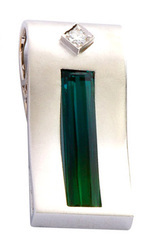 Fine Indicolites are rare, and command a high price on the market. 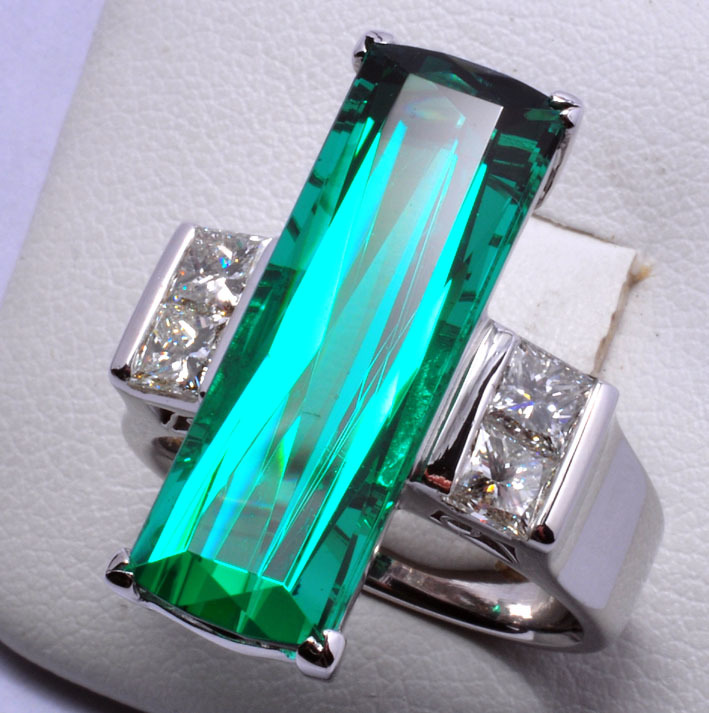 It is strongly pleochroic, which means that it will flash different hues when viewed from different directions.